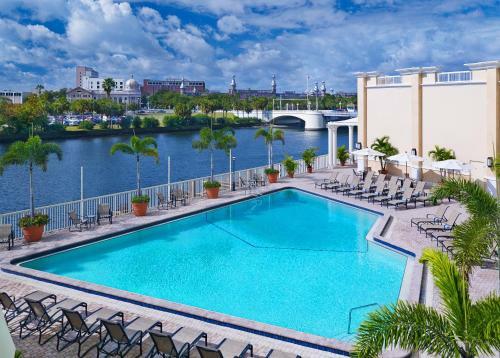 Between the primo riverfront access free Wi-Fi free shuttle and swank style our guests enjoy a great experience at Sheraton Tampa Riverwalk. This six-story hotel offers 277 rooms and suites that are all picture-perfect examples of modern elegance done right. Along with free Wi-Fi accommodations provide the sweet relief of Sheraton Sweet Sleep beds and irresistible ultra-white cloud-like duvets. 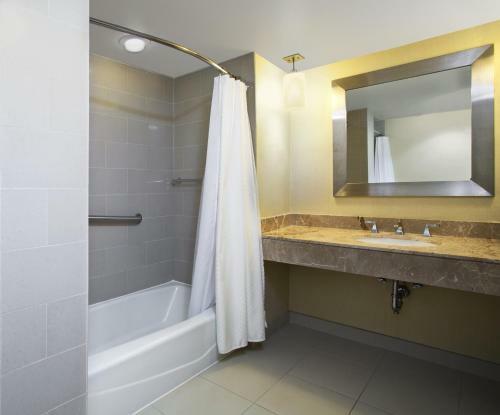 Deluxe rooms also include private balconies with riverfront or downtown views. 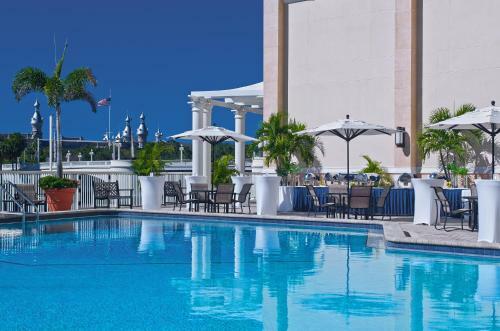 Of course the hotel takes prime advantage of its Ashley River access: riverfront views abound in all the common areas from the expansive outdoor terrace and upscale grille and bar to the 24/7 fitness room (with cardio equipment and free weights) and outdoor pool. The hotel is also quite proud of its high-tech [email protected] lobby with computer terminals free Wi-Fi cool workstations with printer access and light food and drinks—all making work less of a hassle. The hotel makes getting around town hassle-free too with free shuttle service within a three-mile radius. 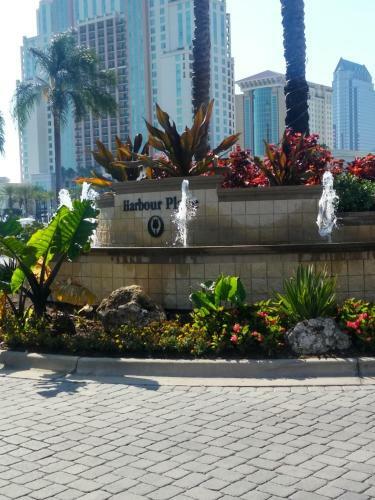 Valet parking is offered for an additional daily charge. 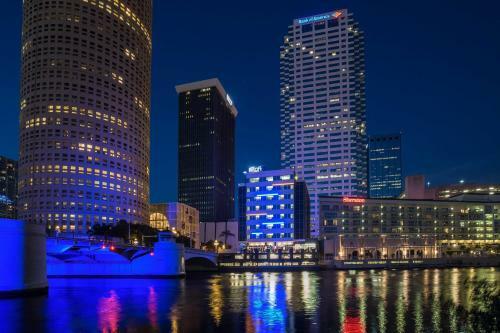 An especially convenient spot for those visiting the Tampa Convention Center (just four blocks away) the hotel is a five- to- 10-minute walk to Glazer Children's Museum Tampa Theatre University of Tampa and St. Pete Times Forum. 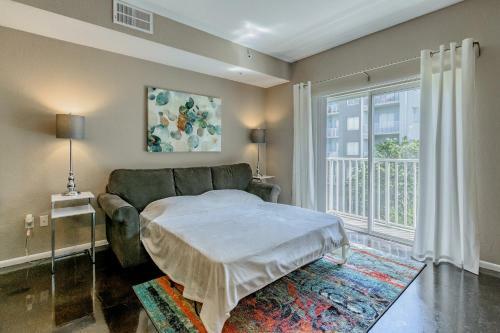 Hop on the free shuttle to shoot to Channelside and the Florida Aquarium in five minutes. The hotel is located seven miles from Tampa International Airport.